First of all we would like to congratulate Ruby on passing her category C practical driving test. Now she can drive her horsebox. As a result of training with us, she passed first time with only 4 minor faults today! That’s fantastic and because of this she can get ready for a busy competition season ahead with her horses. We wish you a very successful year competing. 2018 is nearly upon us. The start of a brand-new year. Are you looking to progress your driving career and obtain new categories on your vocational licence such as C1, C or C+E? 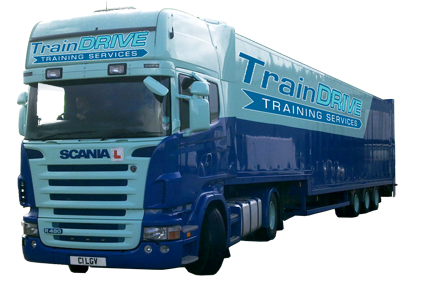 Based in Dartford, Kent – TrainDrive is ideally placed within minutes of the M25 and Dartford Bridge to provide a great training base for your new driving career allowing easy reach from London, Kent, Essex and beyond. Are you starting off with a 7.5 T C1 licence? Work your way up with us towards to your full articulated licence. Once you are successful you will be able to apply for many jobs such as recovery driver parcel delivery driver transportation and distribution. With the ever growing online marketplace with companies such as Amazon, there is a massive demand for extra delivery drivers within London and the UK. Therefore, complete your driver training with us – be successful with us and your possibilities are endless! Do you already have a C1 category driving license and are looking to upgrade to HGV class 2 or category C? This allows you for even more scope in the job market allowing you to drive bigger vehicles. It really is that simple. For your new driving career in 2018 contact us today and let us show you the way! Currently, the top reason for becoming a LGV (Large Goods Vehicle Driver) in the UK is that there seems to be a large number of vacancies available. This is mainly due to the fact that current LGV licence holders have left the industry for other job prospects and that there are a lack of new trainees in the field. This is leading to employers adjusting their policies to make LGV driving positions much more attractive. Drivers can therefore start looking forward to earning higher salaries, receiving greater benefits and better working hours than before. Despite the current lack in LGV drivers, salaries in the industry have always been considered to be relatively good, often between 50p and £1 above the minimum hourly wage. Another factor that makes a career in LGV driving a positive choice is job security. The industry is not only highly regulated to protect the rights of drivers but the lack of drivers means that employers take steps to retain their current employees. The current lack of drivers is also due to individuals not fully fulfilling the requirements to become a LGV driver. 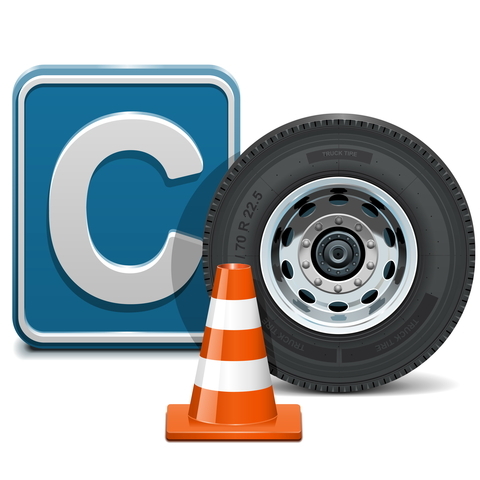 Many drivers already have their C+E and C class licences without completing the necessary CPC (Driver Certificate of Professional Competence) training. CPC courses involve training provided by authorised providers for a period 5 hours per day over 7 days. There are no tests or examinations and receiving a DQC (Driver Qualification Card) from the DVSA (Driver and Vehicle Standards Agency) is based on attendance only. The fee involved for the training and acquiring the DQC is nominal. However, as part of their drive to make positions more attractive, some employers in the industry are willing to cover the cost if drivers are already in possession of a C or C+E category licence. Another reason to consider a position as an LGV driver is the flexibility involved. Drivers who prefer the open road can apply for long distance positions that involve travel throughout the UK or even abroad. Those who prefer to remain close to home can opt for positions that offer regional, local or city hauling. Driver training and licensing requirements are relatively low and can be achieved rather quickly. In order to start training, drivers must first have have a regular car driving licence. Next, a class 2 or C category licence is required which involves training, a test and practical examination. Upon achieving the C licence, drivers can further their prospects by achieving a class 1 or C+E category licence. The amount of time taken to achieve these licensing requirements is dependent on the training course taken and the time available that can be dedicated to the training. A course where the trainer dedicates time to the learner on a one on one, daily basis is fastest. In fact, individuals can pursue a career in LGV Driver Training without impacting their current job by opting for part time training on weekends or when they have other time available. When you want to go into a new career path, you should consider obtaining your UK LGV licence. This is a great objective to attain, because there are many jobs available that will empower you and a number of benefits associated with getting this licence. One of the best reasons to receive your licence is that there is a very high demand for drivers right now. Studies show that there have been shortages of around 150,000 large goods vehicle drivers, so you can bet that there is a great need for these positions. Once you receive your licence, you will be in a great position to find employment that will be gainful in a lot of different areas around the united kingdom. When you take advantage of one of these jobs, you will be able to explore the vast terrain of the United Kingdom. The reason for this is that these job sometimes take you all over, giving you the opportunity to travel around various terrain. This is when becoming a skilled driver comes into play, as you will have to put those skills into play when traversing various geographical locations. Taking such a job allows you to see something different every single day and meet new people. It is a very social job that comes with many perks along that territory. If career growth is something you are interested in, you will want to definitely check out one of these job opportunities. You will have plenty of opportunity to climb the ladder and a particular company and received incredible amounts of growth in terms of responsibility and salary. Because of this, you will have an excellent way to secure your future and go down a career path that can be incredibly rewarding for you. There are many benefits that come with the territory of signing a contract with one of these jobs, and all of that begins with first and foremost receiving your licence. If you are looking to go down a new career track, this is an excellent place to begin looking. Take advantage of this large goods vehicle licence so that you can begin delivering into this career track. It will be incredibly rewarding for you, as evidenced by these benefits set forth. With that in mind, look into the training needed and the requirements for receiving the licence so that you can then become the next in a line of drivers who will benefit from taking part in the certification to help with the shortage. If you’re looking for high-quality LGV training, London is a great place to find many reputable courses that can give you the training you need. In particular, one of the best companies to choose has to be Traindrive, who are one of the most well-respected and popular training services in the London area. In this guide, you’re going to discover several reasons why it’s a good idea to choose Traindrive when it comes to passing your LGV test and acquiring your license. Keeping this in mind, let’s learn more. First of all, an LGV license has two different classes, known as LGV class 2 and LGV class 1. However, you will be required to pass the class 2 test before undergoing the next test, but you can trust Traindrive to give you the expert tuition you need to master both license requirements in a very short period of time. As you’d expect, you will begin with LGV class II training which will teach you how to pass the training in a full-sized vehicle. For the course, you will be driving a full-sized 18T Scania 260 94D, which will certainly give you a good experience of driving a larger vehicle. What’s more, this class of vehicle is very similar to the vehicle you will be driving once you have passed your test, especially if you’re going to be working as a hauler or supply driver. It’s also worth noting that the course is fully comprehensive, and for a price of under £1000 you will receive all of the training you need in order to pass both your theory and practical tests. Of course, if in the unlikely event you do not pass your test the first time, then a further program of training can be developed to specifically target your weak spots and overcome any issues that may have caused the setback. Once you have mastered class 2 LGV driving, you can always continue your training even further by applying for the class I LGV course which will really broaden your career prospects and allow you to drive an even bigger vehicle. 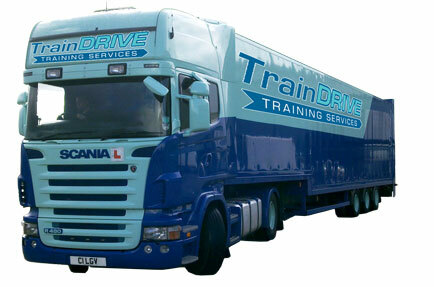 For this training, you will be behind the wheel of a 40T Scania R Series 480 with tri-axle box trailer. Not only is this vehicle a pleasure to drive, but it will also give you an excellent grounding and crucial experience that will be invaluable once you begin your employment as a driver of one of these larger vehicles. Ultimately, taking the time to attend one of the courses created by this top trainer will be a fantastic benefit to your career, and allow you to earn a bigger income. It’s worth noting that once you have passed these tests, it’s not uncommon to earn an income of up to £40,000 a year which is certainly great motivation to follow through and master these two licenses. Large Goods Vehicle drivers (aka LGV drivers) or Heavy Goods Vehicle drivers (HGV drivers) are in short supply in the UK. A research study has found that almost 60% of the current LGV drivers are over the age of 45 whereas the percentage of HGV drivers under the age of 25 is just 2%. Consequently, it is estimated that there is a current shortage of around 45,000 LGV drivers in the UK. This shortage is expected to reach up to 150,000 drivers by 2020. It has also been reported that 25% fewer people acquired new driver licenses in 2013 as compared to the year 2008. While the demand for LGV drivers was always there, the economic recession meant that people did not feel the consequences of lack of fresh recruits in the industry. However, the shortage has finally caught up with the industry. This shortage for qualified LGV drivers is so acute that it is estimated that there are nine vacancies for a lorry driver in Northamptonshire for every single qualified candidate. This problem is spread all across the country. The logistics operators estimate that the average age of a current LGV driver in UK is 53 which is much higher than the national average. In simple terms, many people are going to retire in the coming few years whereas there are fewer young people to replace them. Due to this shortage of drivers, it is also expected that the wages for the qualified lorry drivers may rise as the economy cannot function without lorry drivers taking goods from the factories and ports to the store shelves. Another advantage of training as a LGV driver is that as the economy grows, there will be need for more lorry drivers as people will consume more goods that need to be supplied to the stores. Overall, career as a LGV driver seems full of promises and good wages. The logistics sector is currently the fourth biggest employer in the UK. The economy cannot function without experienced lorry drivers and they are the driving force of the economy. 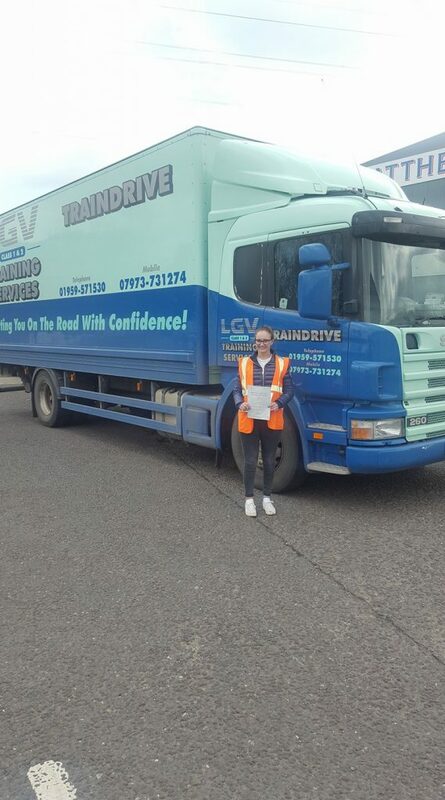 One of the biggest advantages of becoming a LGV driver is that you can be assured of employment once you clear the required tests and have a proper LGV drivers license. As mentioned in the beginning, experts estimate a shortage of around 150,000 LGV drivers by 2020 which means that you can have a successful career as an LGV driver in the future. The unemployment rate in UK is high but the logistics sector is the only sector that promises growth in the future. As far as the wages are concerned, it depends a lot on the number of hours you work and who you work for. Estimates range from £500 per week to £40,000 annually. There is a lot of room for growth when it comes to LGV drivers. There are constant challenges due to different terrain in various parts of the country. As their driving skills grow, drivers can carry more fragile loads that offer bigger salary. The logistics sector is one industry where one does not get bored as is often the case with the monotony of an office lifestyle. The country depends on the logistic sector and nothing will work without qualified lorry drivers. As far as becoming a lorry driver is concerned, there are a number of reputable training centres that can help you in clearing the required tests at an affordable cost. 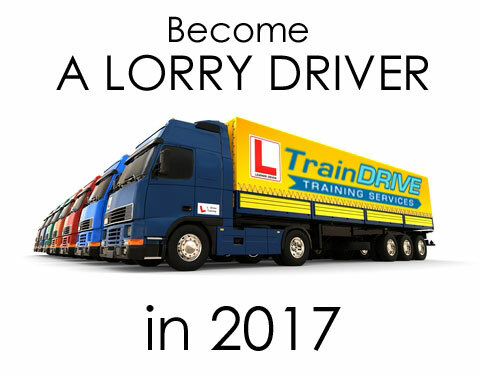 So, if you have been thinking of choosing a career, give a serious thought to working as an LGV driver and acquire an LGV drivers license.